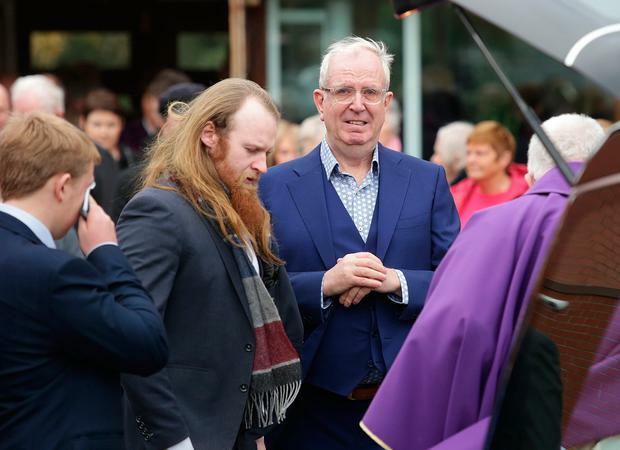 Rory Cowan delivered a heartfelt speech at the funeral of his mother Esther Cowan. The former Mrs Brown’s Boys (59) actor was joined by family and friends at the Church of the Ascension of the Lord in Balally Parish, Co Dublin. 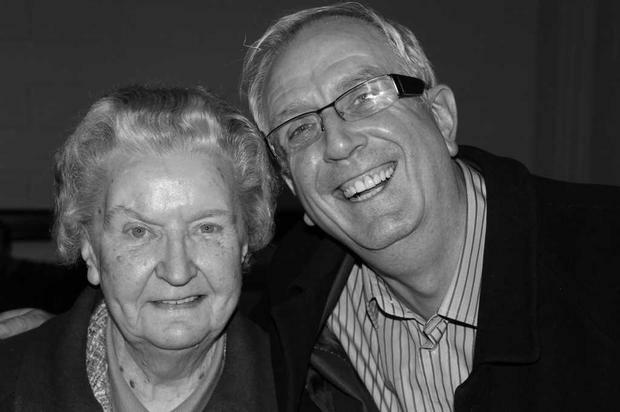 Mrs Cowan (85), who struggled with dementia, passed away on Monday at St Vincent’s Hospital, Dublin. Her son told several stories about his mother during the service, including meetings she had with the likes of Cliff Richard and President Michael D Higgins. “Her whole life was her family, I think that comes from that generation. What was going on in the world didn’t matter, it was the family that mattered,” he said. The Dublin native had the congregation laughing when he remembered his mother’s meeting with Cliff Richard. “I worked in a record company, she wanted me to work in the bank. I deliberately failed maths in my leaving so I wouldn’t get a job in the bank,” he said. “She always thought some day I’d settle down and get a proper job. That was until I took her to dinner one night with Cliff Richard. She was chatting to him for hours. “I said to her afterwards, ‘what were you talking about?’ And she said, ‘the trade union movement.’ I went to him and said, ‘I’m sorry about my Ma’. The actor believes her conversation with President Higgins, during the interlude of a play, was likely a similarly refreshing one for him. “I was watching to make sure the bodyguards that were with him weren’t going to be rough with her. He invited her to sit down. With no other head of state in the world would this be allowed,” he said. “They had a conversation about getting the flu jab and he went over to her before the second half of the play and said, Mrs Cowan, promise me you’ll get the flu jab. Cowan became emotional toward the end of his speech as he continued to pay tribute to his mother. A notice on RIP.ie reads: “Peacefully while surrounded by her loving family in the care of the wonderful staff at St. Vincent’s University Hospital. Mrs Cowan, from Rathfarnham, will be laid to rest in Mount Venus Cemetary.